Google is one of the largest and most used search engines in the world. Anyone with a website that wants to be seen or remain relevant should be constantly looking for ways to keep ranking high on Google’s search engine results page (SERP). This page is often torpedoed by Google’s algorithms which causes major to minor unexpected or unplanned changes on this coveted page. If you want your website to stay ahead of Google’s algorithm a digital marketing agency will come in handy as the most experienced will make use of the following 7 tips to stay ahead of Google‘s algorithm. There are several tools that you can use to keep track of all the changes that Google makes to their algorithms. In 2010, Google revealed that it made over 500 changes alone that year. Seeing that the digital world has grown more complex than what it was nine years ago, website owners should be prepared to see a very large number of changes in Google’s algorithms this year too. 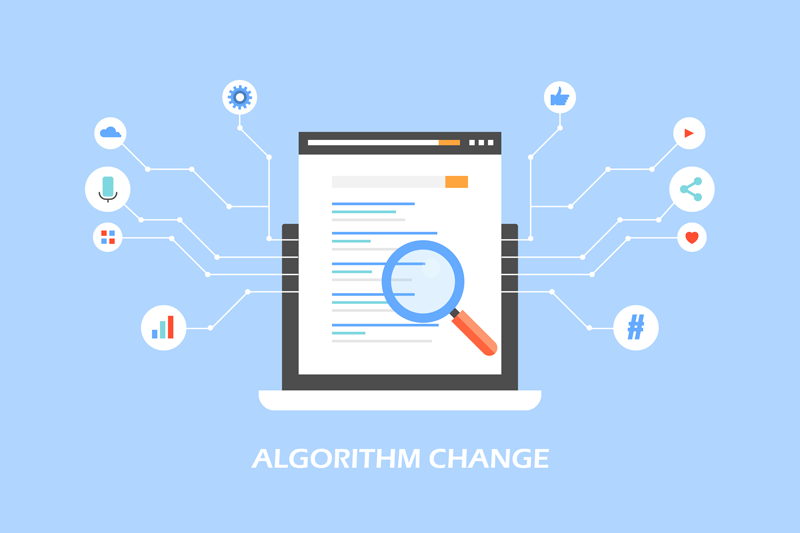 While some of these changes might just affect the position of the website on the same search engine results page (SERP), some huge algorithm changes might push the website further down away to other pages apart from the first. This can take a toll on the percentage of organic traffic that will flow to the website. So use available tools to keep track of these changes as well as the position of the website on search engine too. Content is a major SEO booster. Your goal is to be able to make the website rise above the changing algorithms and the only way you can do that without spending too much is to have updated and quality content. Content is important to SEO. That’s why no matter how often Google changes its algorithms, such changes will never blacklist websites with quality content. Now, a website can also have quality and updated content and still struggle to rank well on Google’s search results page. Other factors are at play here, one of which is ‘keywords’. Content and keywords go hand in hand, to ensure that you are not just writing what you want to but you are pushing out content that people are actually searching for and want to read. Hence the need to keep doing keyword research as often as possible. It is also important to keep looking for new ways to market your content. Your goal should be that whoever you are writing for should see and read what you have written. So don’t get tired of marketing your content. The more you keep building the website as an authority for the chosen niche, the more attention Google will pay to the website, irrespective of these changing algorithms. If you have observed, everything that pushes Google to make changes to algorithms controlling search engine results page (SERP) is all about their users too. They want to remain as relevant as possible to their users. This is why they keep pushing the limits and using big data to analyze and understand their target audience so they can make their search tool more efficient for them. This attitude is what prompted Google to get back to work on their voice search tool, which is now 95% accurate than it was before. So you also have a responsibility to understand those that visit your website and create a better user experience for them all the time. Keep looking for and implementing new ways to make sure they enjoy visiting your website. Analyze their behavior on the website, follow up on the top referrers and consider marketing your content on those channels – this way you can keep reaching them. Also, make search tools available on your website too and study what they search for, study bounce rate and look for ways to reduce it. Just keep raising the bar with providing an excellent user experience. There are a lot of free and paid tools you can use to improve the SEO of your website. Make use of it in addition to tools for tracking the changing algorithms of Google. While the latter is great for knowing where you stand in Google’s eye and the world, the former is great for implementing all necessary SEO changes so you can get back on track. Use a combination of free and paid tools that will help web crawlers to keep crawling the website. Use tools that will help verify all SEO metas and tools that will help detect site speed especially when it is poor. There are also tools that will help with optimising for SEO as well as keywords and internal (external) links. Always ensure that you use the updated version of the tools because they will also be updated to the new algorithms of search engines (Google too) as it affects SEO. The more people know about a brand, the more they want to associate with the brand, especially if it is a credible brand. Marketing should not only about making sales but also about increasing brand awareness and helping the target audience to connect more with the brand. Consider marketing to your target audience through pay per click or pay per impression on Google, social media and other digital platforms. Create great interactive landing pages that will encourage these visitors to engage more with the content on the website. The fear is that such content could make the website slow but there are tools for optimizing websites to improve opening speed even with such heavy content which have proven to be very good for improving SEO. This is one of the simplest ways you can stay ahead of the ever-changing algorithms of Google. While Google tries to focus on its users, it also doesn’t ignore website owners with quality content that will be useful to their target audience. Google has a lot of free tools and resources for webmasters that can be used to align the website to the demands of Google.